This year is set to be another busy one, though my events will be a bit closer to home than last year. There’ll also be a summer exhibition at Logie Steading, near Forres. More information about that in the next few months. 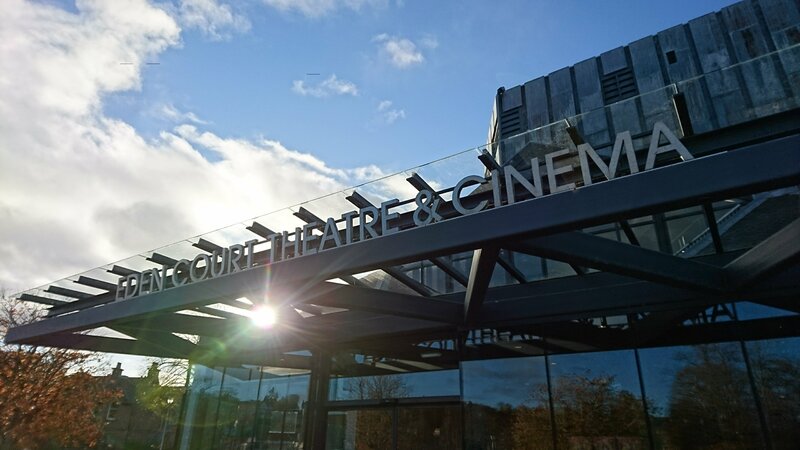 Categories: Craft, Events & workshops, Exhibitions, Products, Shopping | Tags: craft fair, Eden Court Theatre, Exclusively Highlands, exhibition, Inverness, Inverness Highland Games and Gala, Logie Steading | Permalink. Introducing some new additions to my range of Chunky Mugs! They feature some of my favourite Scottish birds: puffin, osprey, crossbill and bullfinch. You can see them all on my online shop. And to celebrate the new products, I’ve got a special offer in the run-up to St Valentine’s Day. Buy any two Chunky Mugs for just £20 – just type the code LOVEBIRDS in at checkout to take advantage. Discount ends on February 14. Categories: Illustration, Products, Shopping | Tags: Birds, bullfinch, chunky mugs, coffee, crossbill, osprey, puffin | Permalink. Castle Fraser. Five floors of crafty goodness. Just set up for the first time at Castle Fraser. Open 24 and 25 November from 10am-4pm. It is a wonderful fair in a stunning venue, with such a lot of good stuff for sale. If you’re through this way it’s well worth a visit. 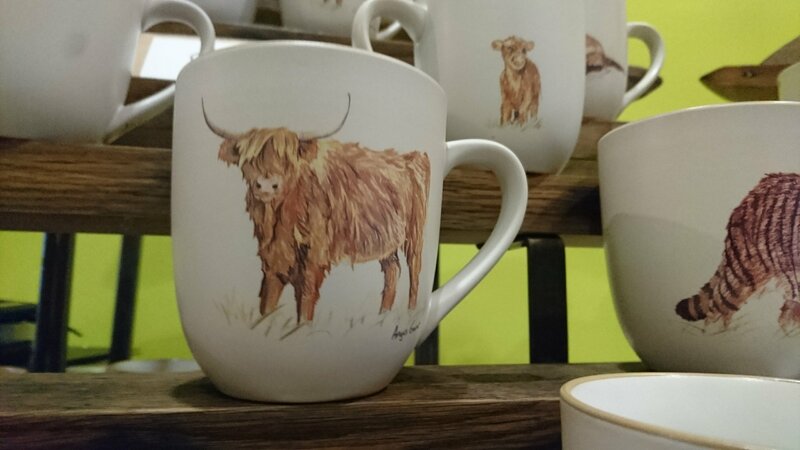 Categories: Craft, Events & workshops, Products, Shopping | Tags: Castle Fraser, craft fair, Exclusively Highlands, mugs | Permalink. All ready at Eden Court Theatre for my first Christmas craft fair. 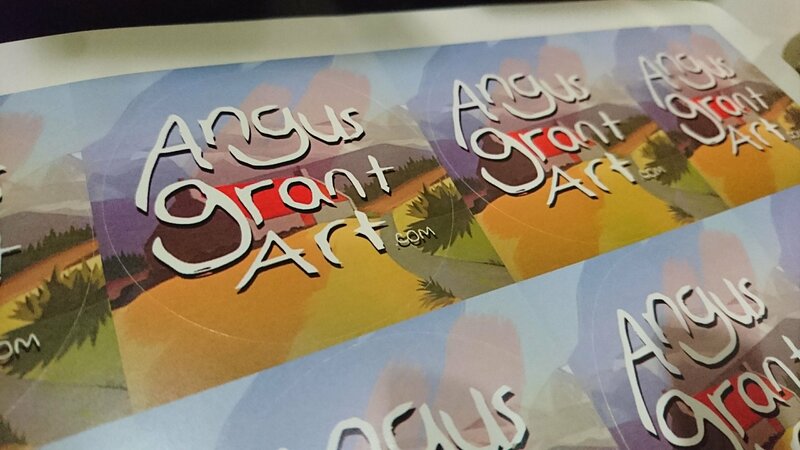 Categories: Craft, Events & workshops, Products, Shopping | Tags: Angus Grant Art, Christmas, chunky mugs, craft fair, Eden Court Theatre, Exclusively Highlands | Permalink.